This month, Mayhew Afghanistan has vaccinated an incredible 10,500 dogs through their mass canine rabies vaccination programme in the capital city of Kabul. 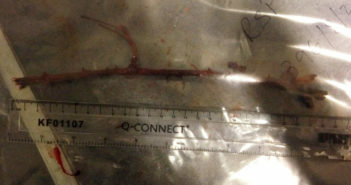 This figure is important as it means 70% of the dog population in Kabul has now been vaccinated against rabies. This percentage figure is the accepted threshold required to reach in order to break the chain of virus transmission and start creating herd immunity in the area where the vaccination programme is happening. 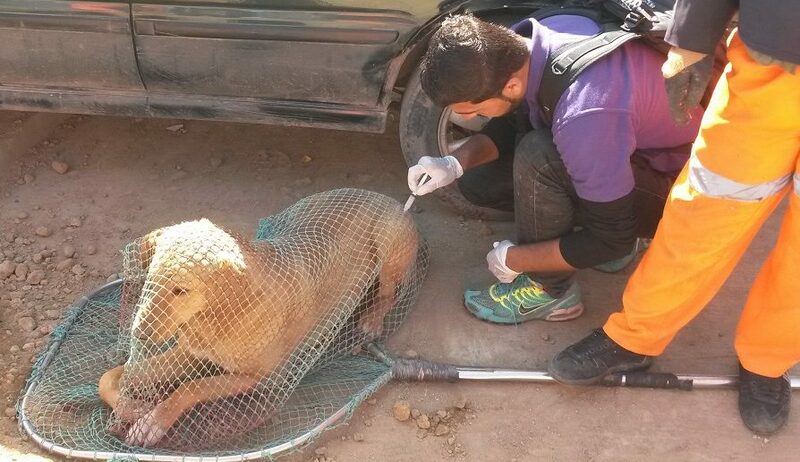 It means that the Afghanistan team, together with the Kabul Municipality dog catchers, are on track to reduce the risk of canine-mediated rabies in the city. Following Mayhew’s successful negotiations with Kabul Municipality to bring an end to the inhumane practice of culling the free-roaming dogs from January 2017 and with signed agreements with the relevant ministerial departments and city authorities in place, on 6th August 2017, Mayhew Afghanistan began implementing the first mass canine rabies vaccination programme in Kabul, which covers the main 16 residential districts in the city. 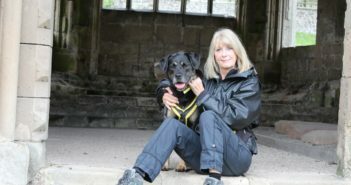 This is the first step in a long-term and sustainable strategy to eradicate rabies from the city in three years and develop a citywide dog population management programme. The two teams of 12 dog catchers and vet vaccinators work from early morning around 5am to noon, catching and vaccinating dogs. The surveyor then goes out within 72 hours to the designated areas to count the number of vaccinated dogs, compare it with the total number of dogs in that area and ensure the level of at least 70% of the population has been vaccinated. 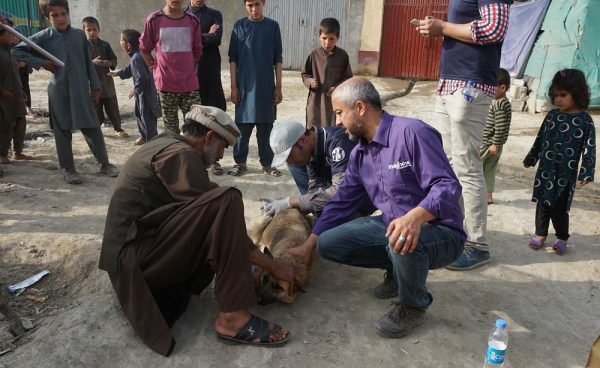 “The team are delighted that the programme has now vaccinated 70% of the population of dogs in Kabul in just over 10 months, said Dr Abdul Jalil Mohammadzai DVM, Mayhew’s Afghanistan Country Director. 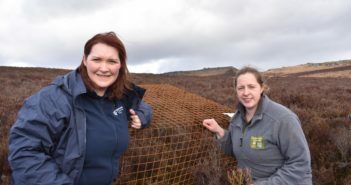 “A new dog population survey has recently been completed and this will provide data for the amount of dogs to be vaccinated as a minimum in year two of the mass canine rabies vaccination programme and be the basis of the dog population management plan.